Moments of My Life: My 2nd Year In Blogging! My 2nd Year In Blogging! 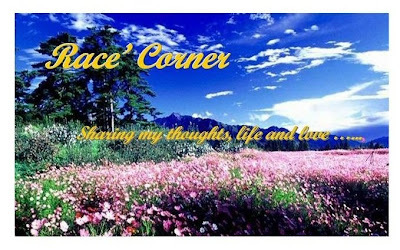 It’s my second year anniversary in blogging but not in this blog but in my first ever blog in Race Corner where I first entered the world of blogging through my bestfriend JennyL. I just went into her internet café and she introduced me to blogging. Here's my first entry. I was really interested in writing but I didn’t pursue Journalism as I thought Computer Engineering will give me a better opportunity to land a good job. Writing remains my first love and signing up in a blog somehow achieved some of my dreams. I started out in Bravejournal and went further as months passed by in Blogger where I first experienced redirecting my blog in a domain. I opened My Crossroads, another site where I talked about my work, my crossroads - the critical decisions in my life and travel to many places where we held our church camp meeting fellowship. This blog ‘Moments of My Life’ became my main site and though I wasn’t able to update much my first blogs Race Corner and A Beautiful Life, I still love them because they’re my first babies here in the blogging world. Blogging doesn't only gives me a chance to share my thoughts and life but also helps me earn money through writing advertisement. Congratulations on your second year of blogging. That's wonderful! Wow, nakaka-dalawang taon ka na sa pagba-blog Race! I'm sure malaki-laki na rin ang kinita natin dyan sa paid reviews, o di bah?! Congratulations! Blow-out naman dyan! Burger!! ..burger!! .. he he he..
di naman masyado tita beng hehehe! part-time lang ako though i must say mas malaki ang blessing last year, ikaw nga mataas PR o di ba? sige burger san tayo kita? thanks for dropping by! i missed your comments!